Since late morning, there has been a smattering of snow drifting to the ground although not yet settling. I thought I would take a photo, which would allow me to just about keep up with my 52photos project. Using the iPad, the results weren’t that exciting although I was happier with the shot I got of the Cornus plants and their bold colours. It still wasn’t that great… and then I remembered that photo manipulation was in scope. It has been a long time since I played with ‘artistic’ filters in The GIMP as, in the main, I want my photos to look like photos. However, here I wanted to capture the vibrant colour of the scene. 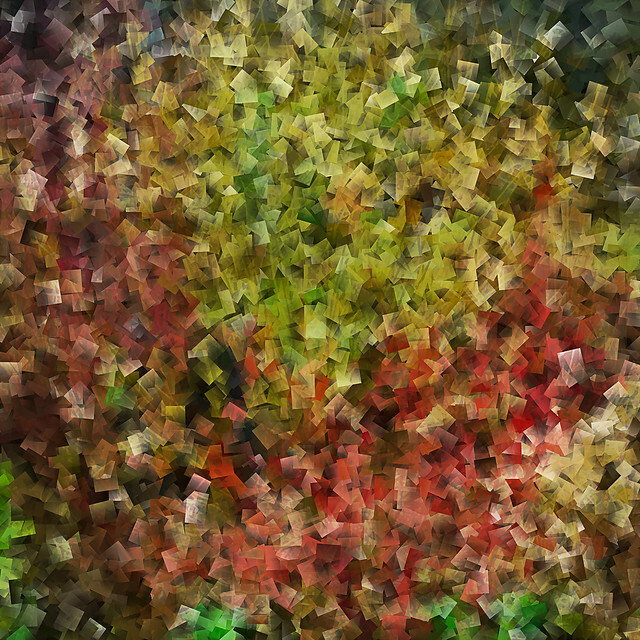 I’ve overlaid the results of the ‘oilfy’ filter on top of the ‘cubism’ one and also added some sharpening. I’m very happy with the results – it feels much more an expression of my artistic vision than simply running a single filter. Now, what can I do to stay on top before week 7 comes along?